Fit Wanderlust Runner: A Few Days Late...March Goals! I was meaning to post this earlier but I was busy recapping The Heavenly Half Marathon. 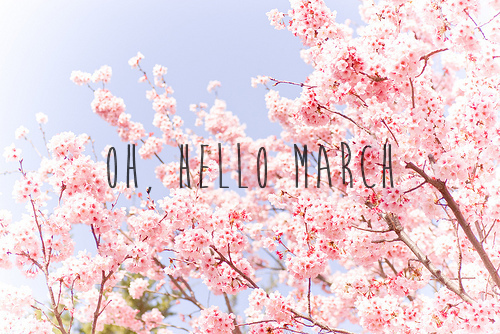 We are already in the third day of March so I am a bit late on posting my goals for the month. This month is really about my move to San Diego. All my energy will be focusing on that and my new job. I will be working with adults which is out of my comfort zone but I do believe it will make me a more well rounded Respiratory Therapist. The big day I will be moving is March 15th or 16th. In the mean time we are busy getting our house ready to be placed in the market. Fingers crossed it sells fast. We are thinking of placing it in the market next week or so. Right now the only thing pending is placing new sod in the back yard. Half of the month will also be about spending time with my Fresno friends. This part does make me very sad. I love all the friendships I have gained from living here the past few years. They have been with me through a bad break-up, the start of my career, my wedding, my marriage, and all the ups and downs that come with life. It's going to be very hard to leave these people that have made such a huge impact in my life. They are like family. I have two parties this month that are organized by some of my amazing co-workers. I will probably cry during both of these. This month I also want to really do a bit more cross training. I will still be running but I wont be doing that exclusively. I do have another race at the end of May so I have some time before my training starts again. Not much but enough to give my feet a little break again. I want to do more hiking, weight training, Zumba, and ride my bike more. Looking forward to all the outdoor activities I can do when I move down to San Diego. 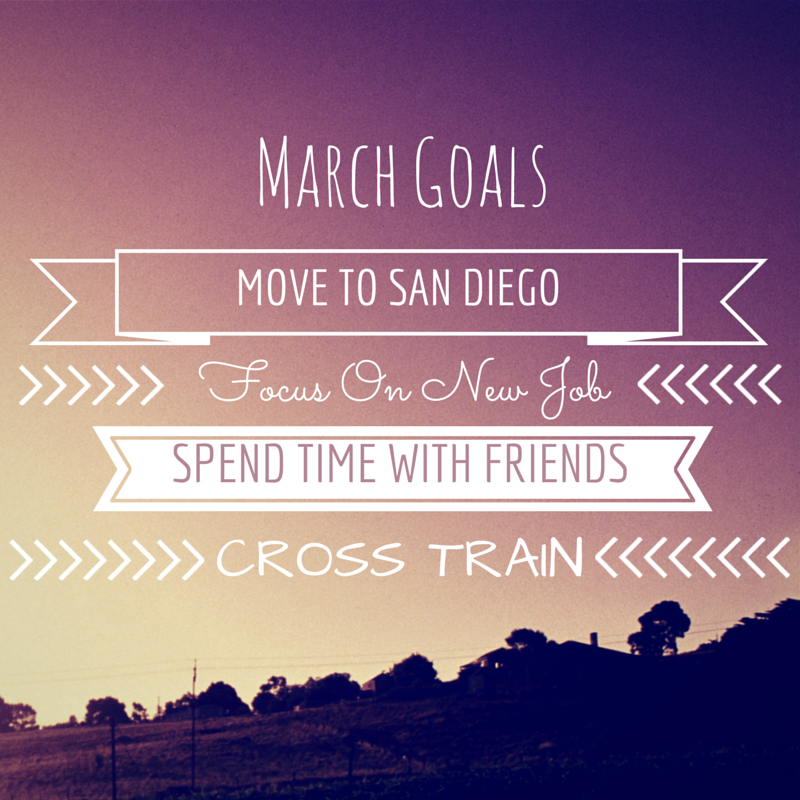 Great goals for March! Excited to read about your moving journey :) my goal this month is to continue practicing yoga once a week, maybe shoot for twice! The moving journey sure is stressful but I am really excited to head back home to sunny San Diego. Thank you! I am really hoping with all this moving I can still get my cross training. I live in San Diego ... if you love to run you'll love it. Not great for travel though ... everywhere is far away!! Enjoy.